The 2015 Cue Award winners and the Genius Choice Vote winners are all announced for the first time in this special episode. You'll hear acceptance speeches from many of the winners and excerpts from the winning titles! 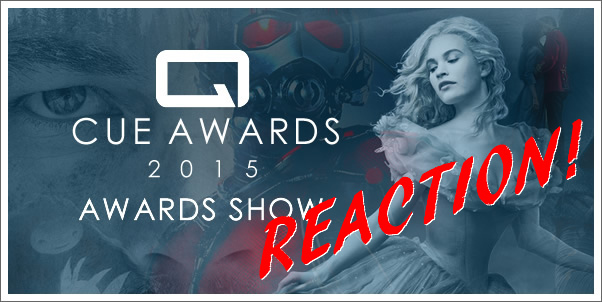 This year's show differs from those in the past as each winner will be announced without reaction and commentary as a special Cue Awards reaction show will be published separately after. Follow Edmund Meinerts on Twitter. Follow Marius Masalar on Twitter. Follow Richard Buxton on Twitter. Special thanks to those composers and labels who took the time to record an acceptance speech for this year's awards. Special thanks to Richard Buxton for helping us to recognize another year of fantastic music from the Far East via The Monkey King Award, to Marius Masalar for his original Cue Awards theme "Cue The Orchestra." and managing the Genius Choice Vote and to Edmund Meinerts and Thomas Midena for helping to organize and tabulate all of the nominees and award winners!